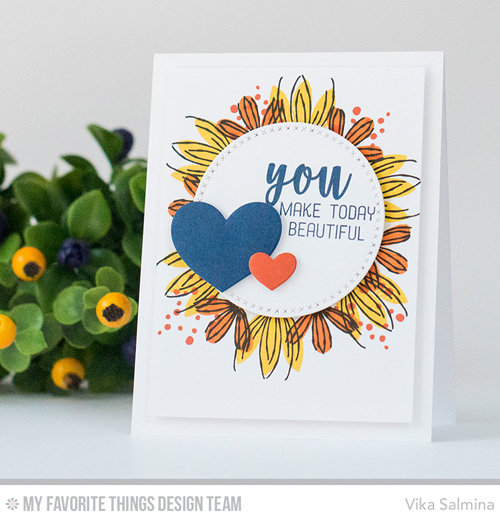 This challenge features an vibrant quartet to inspire your next project — Blueberry, Orange Zest, Daffodil, and Tangy Orange. Congratulations, Crafting with Katherine! You are the randomly selected winner of the MFT Color Challenge. You can view all the entries from the last challenge HERE. You have until Wednesday, April 26th at noon EDT to add your link and be eligible for the prize of up to $20 in MFT Cash. Winners are chosen at random, so everyone has a chance! The prize is a $15 Gift Voucher to My Favorite Things, but if you use MFT stamps and/or dies in your project, you’ll receive an extra $5. Well lucky me, being the random winner! I just got my GC in my email, I hadn't known until I got it! Thank you! I have been saving up for some purchases and this really helps! Thanks Mft stamps! Gorgeous color combination. 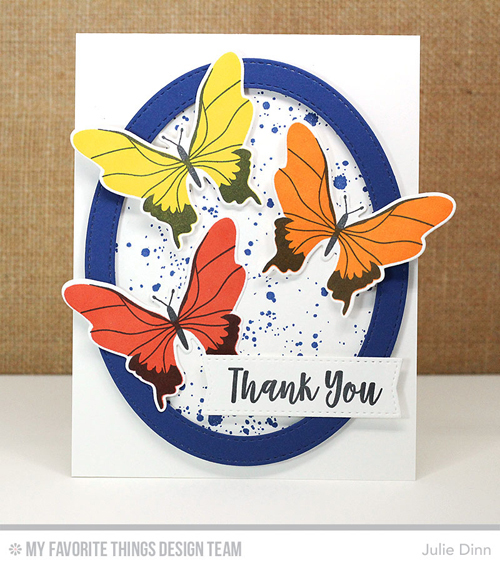 Love those butterflies! Cheers!